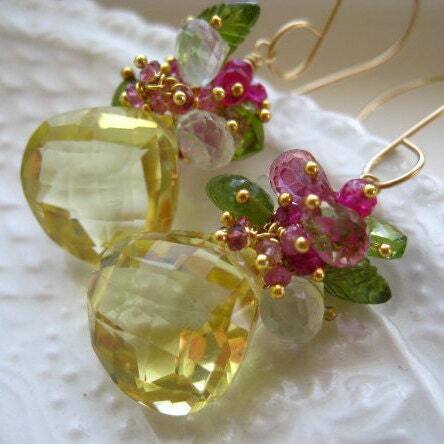 Thinking of sunny skies and beautiful flowers, and the "Garden Party" earrings are what was created. 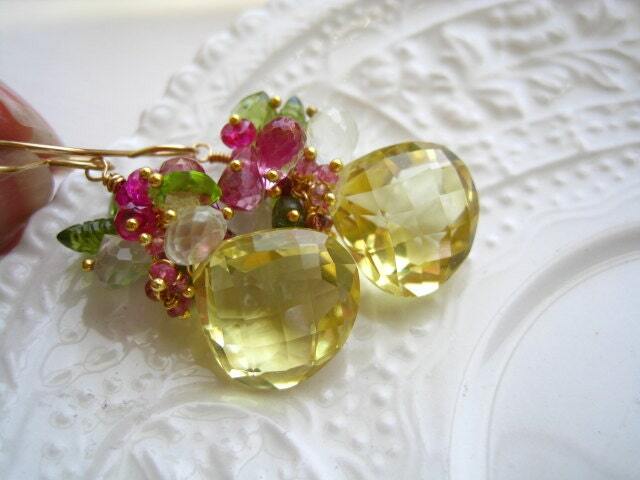 Bright and beautiful, and full of dazzling colors of gemstones, these earrings are delightful! 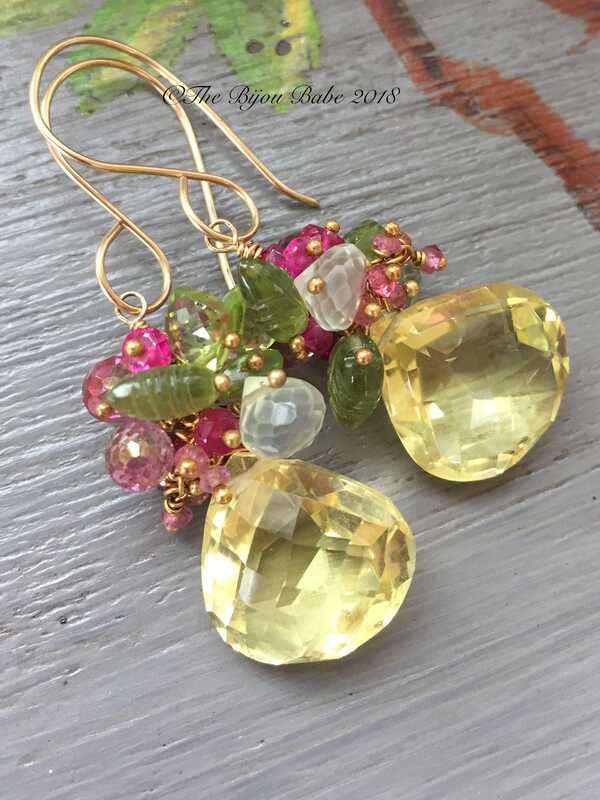 Large briolettes of concave cut lemon quartz (16x16mm) give some serious wow factor, especially when topped with a variety of exquisite gemstones. 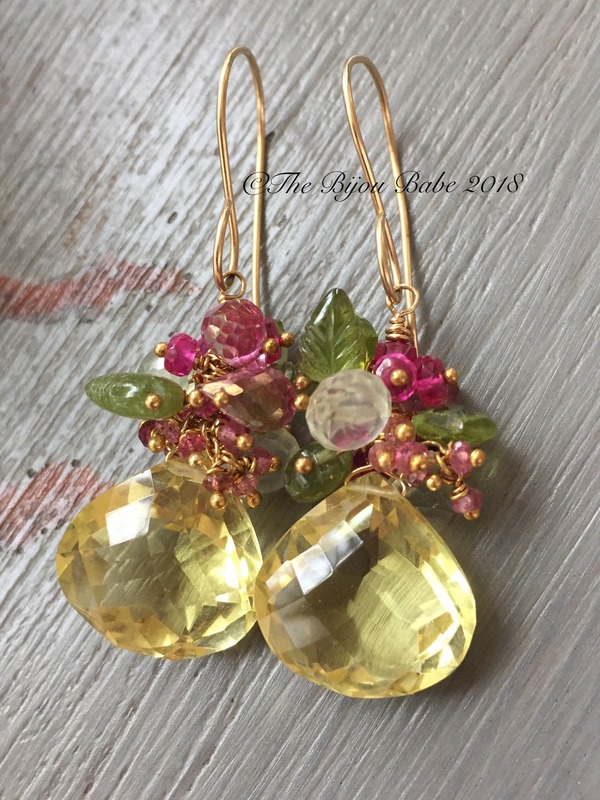 Your "Garden Party" earrings will ship USPS Priority Mail with tracking in the US, and will be packaged in a lovely gift box tied with ribbon.